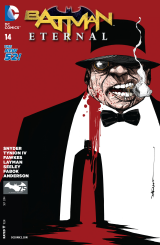 This issue sees the feathers really hit the fan in the Gotham City gang war, especially for poor Ozzie, who seems to lose everything in a matter of pages. 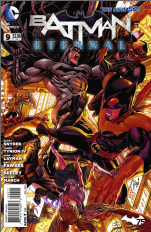 But this Noah's ark of an installment also includes a cat, a pig, a tiger shark, an orca, and for a short flash, a bat. 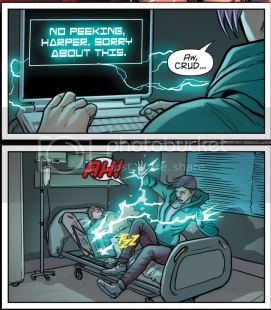 Old MacDonald would be all hot and bothered by this issue, friends. 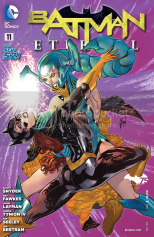 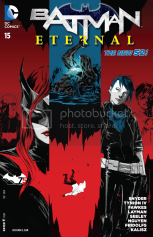 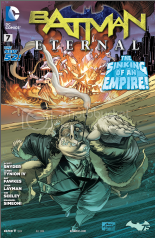 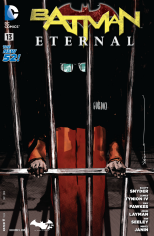 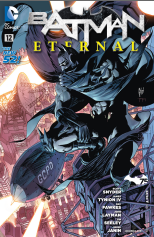 This is Batman Eternal #7, and an empire crumbles into the deeps of Gotham harbor here. 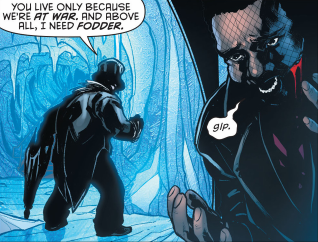 "It was either you or Captain Stingaree. 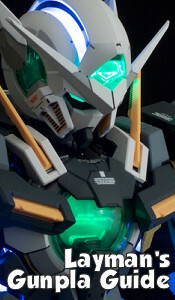 I couldn't afford him."